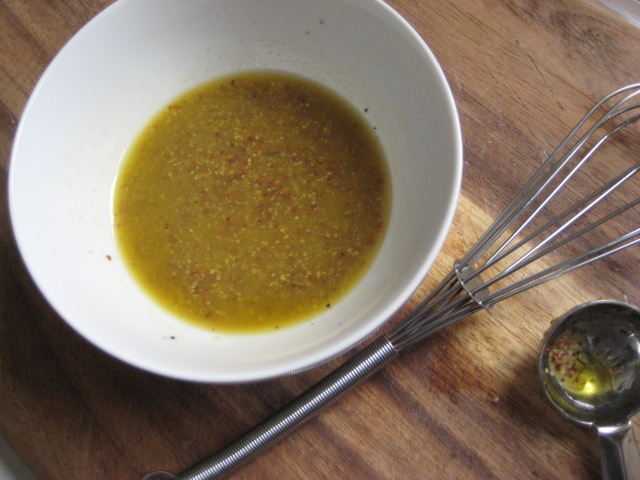 Basic French vinaigrette | Ooh, my favorite! 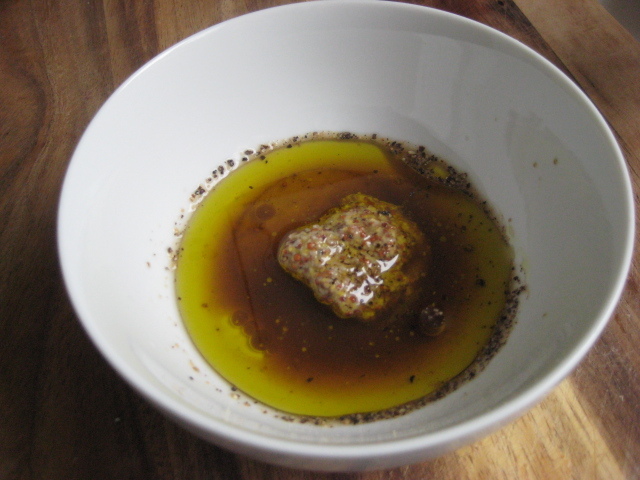 I think a true basic vinaigrette would use regular dijon mustard and champagne vinegar, but for this go-round I used a coarse stone ground mustard with apple cider vinegar. So I don’t get bored, I’ll usually try to switch or add an ingredient here and there. Sometimes I’ll add a finely grated clove of garlic, or a diced shallot. 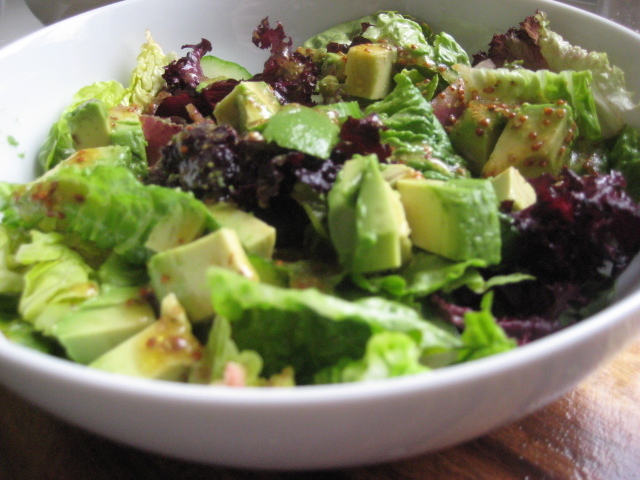 These small changes make a big difference in the taste of the salad, so it’s a nice little cheat. Toss gently with salad greens just before serving.